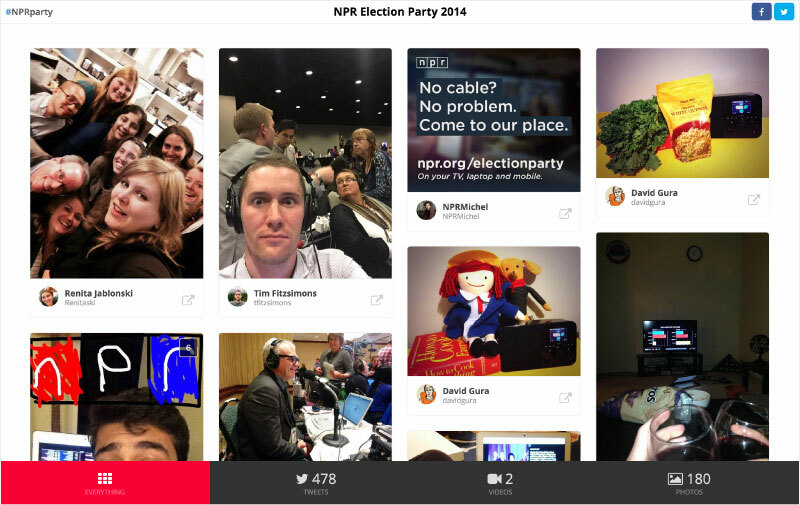 In past elections, NPR created an online experiences like most news networks to follow along with general elections results. In 2014, NPR wanted to give its listeners an alternative to the TV broadcast and cable channels’ election night coverage of the midterms. A shared live event streaming via a Google Chromecast app would bring audiences and studio hosts together at an on-screen party that you could join on your laptop, mobile device, or TV. In addition to leading the design, we helped NPR with strategic guidance on developing marketing tools to promote the app in the weeks leading up to the elections. We encouraged listeners to host a party with planning tips, menus, suggestions for races to watch, and tips for well informed discussions. 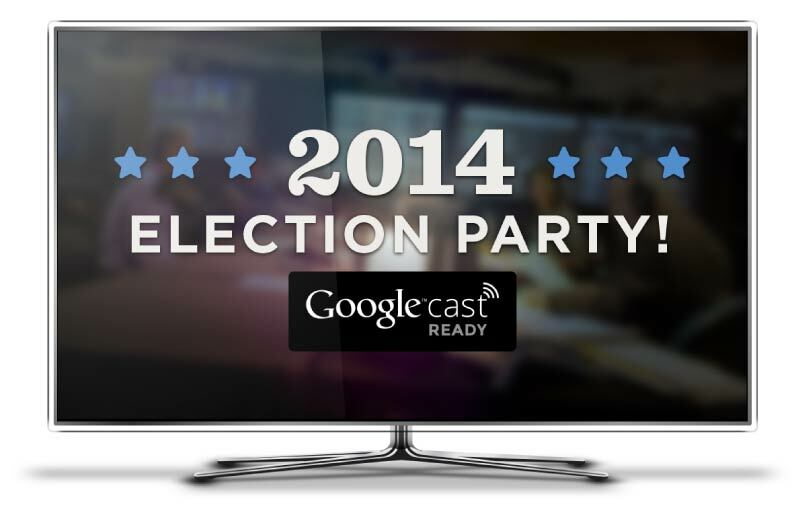 Partnering with Nvite, we made it easy for people to host election parties and invite family and friends to the party. Continuing with our theme of “tearing down the agency wall,” we worked as one with NPR, leading product design and collaborating with a small team that included story and photo editors, developers, and news desk hosts. Working within an existing agile process, we tested our designs with internal user groups and stakeholders and made adjustments and improvements along the way. Our design and development became an integral part of the final app release that was used by thousands of users and received high recognition from industry peers, including the Society for News Design. We love working with media companies. See how we helped NPR Music create a better online music experience and worked with PBS KIDS to build websites where parents and children could have fun and learn together.